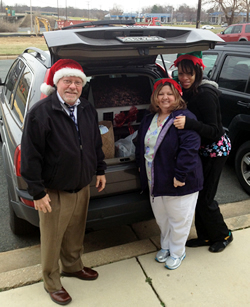 Dr. Henry, Deborah and Sacha at Christmas, with donations for Family Crisis Center. Deborah staffs our physical therapy department at Henry Chiropractic and will work with you in your active rehabilitation and exercise programs. She also takes care of all things administrative. Deborah and her husband have one son and one daughter. Denise has impressed us in her first year at Henry Chiropractic and is moving toward working as the office manager. She is dedicated and has accomplished tremendous things since she joined us. Denise’s smiling face is what you’ll see when you first arrive. And she is the source you’ll want to seek for answers about appointments, insurance, health products, or anything about the office. Before Denise became an employee with us, she had been a patient here since childhood. 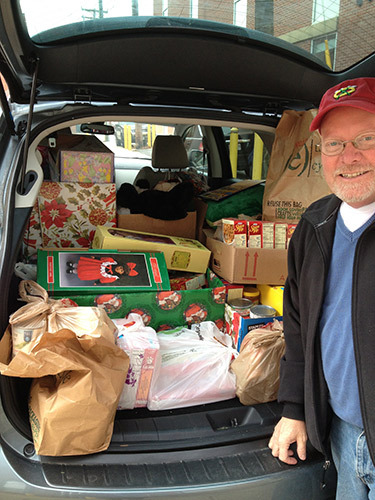 Her mother, brothers, and much her family have been patients of Dr. Henry. “It was natural for me to end up here,” says Denise. Stop in and see us today, or call (410) 285-2600 for an appointment. 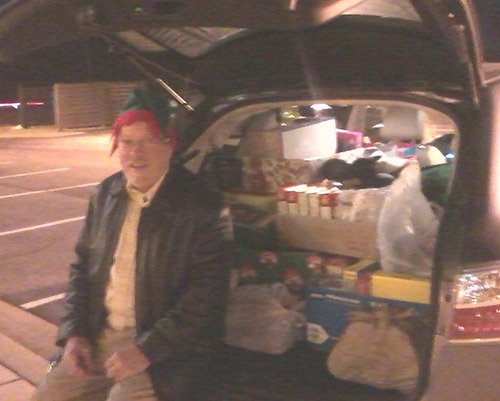 Dr. Henry with donations for the Family Crisis Center. 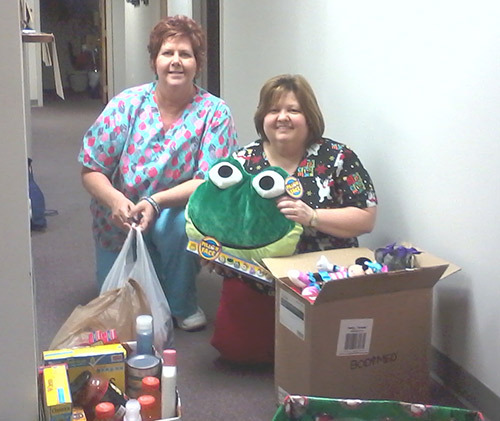 Our team with donations for the Family Crisis Center.